There were a flurry of three day weekends in the last weeks of this summer and the Ebisu Garden Place held a festival during each of them. The last one, which had live music and interactive art, was my favorite. Here were some of the highlights I enjoyed most. The live music ranged from children’s choirs to a gospel ensemble to opera. 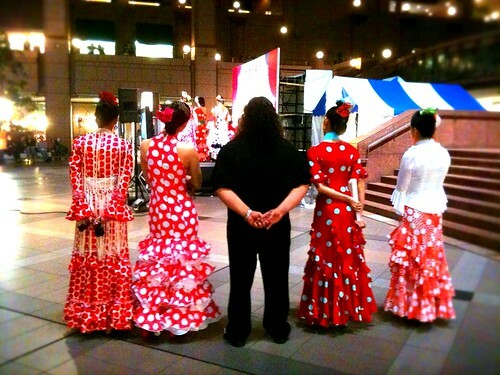 My favorite were the flamenco dancers and musicians. I’d never seen so many red and white polka dot dresses in one place. Having one of the guitarists resemble Hurley from Lost was a bonus.